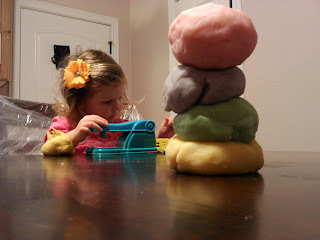 Sew Fantastic: Best Play Dough Ever! 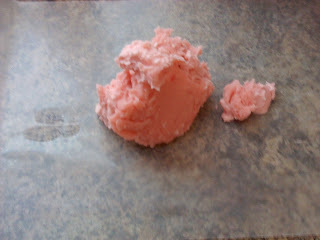 We’ve had a shortage of play dough in our house lately-which Is a bad thing according to a 2 year old! It’s one of her favorite things to do….. and one thing I know is that I’m so tired of buying play dough! 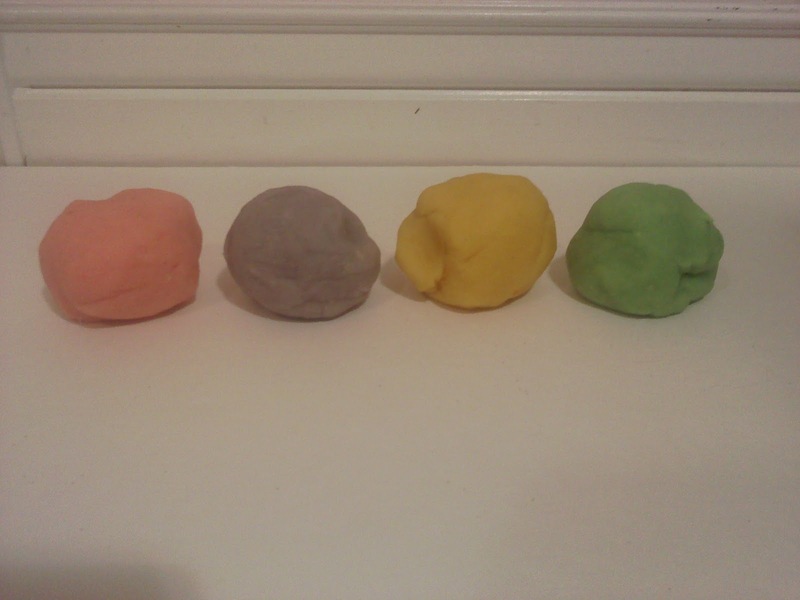 So today when Hailey asked me for the hundredth time to play with play dough…and we had none…I thought now was the perfect time to make some! These instructions are for THE BEST play dough ever!! 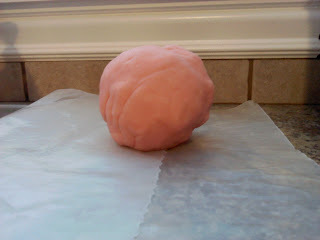 I love how smooth it feels and I don’t think I’ll ever buy play dough EVER again! It’s also really quick to make so I made a few different colors. Combine all the ingredients together in a pot. Let it cool a couple minutes and then knead it until smooth. Then if you want more repeat…I ended up making 4 colors and then I got tired of making it. Another idea is you could put glitter in it to give it a little sparkle, if i had glitter at the time i would definitely have done that! Keep it in a sealed container (I just used sandwich Ziploc bags) and if it becomes a little dry after time put it in a bowl and knead a little water into it. Then let the kiddo or kiddos have fun! The cookie cutters were her favorite thing to use. I eventually got out the 'rockin roll' aka the rolling pin for her to use as well and she loved that! 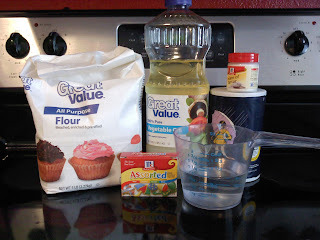 Have fun making play dough for your kids! Hi! thanks for the sweet comment on my blog! I am glad you are a follower! I am a new one of yours! Nice to meet new friends! 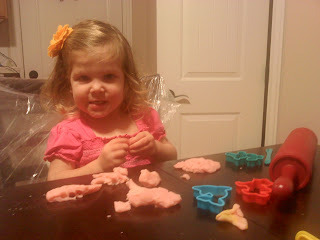 Love the play-dough, she looks like she's having fun!!! 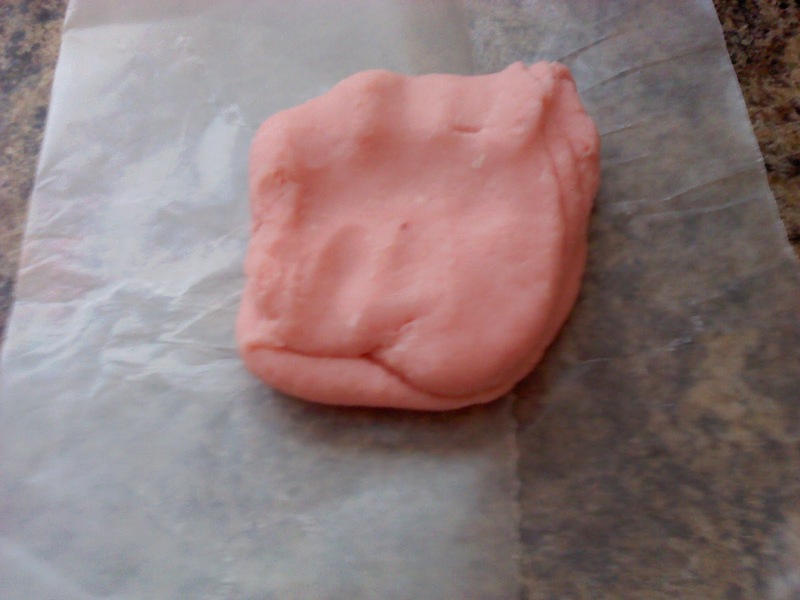 My daughter loves play dough!! i'll have to test this out! I love the colors you made!! Thanks for following my blog, I am following you back! have a great day! What a great idea! Thank you for sharing! 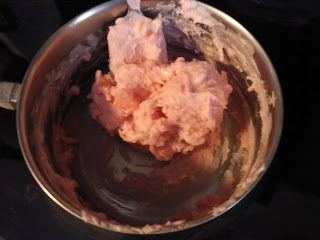 Do you know if any kind flour (such as rice, potato, etc) works with this? I would love to try it! looks like so much fun! new follower from the hop, would love a follow back. 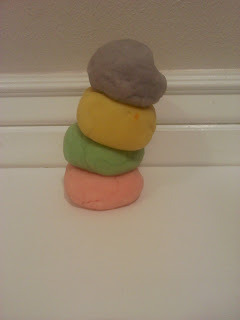 Love the play dough! Will have to try some next time the grands are here! Visiting from the Friday hop! Hope you will visit my blog and follow back. I wanna do this! But I have a question...are the pots difficult to clean afterwards? LOL! Soon as I'm finished passing this award, we're going to make some of this. Thanks for sharing! I forgot about this. Used to make this for my son when he was small. Thanks for sharing this. Your friend from the Blog Entourage Blog Hop. I can't wait until my daughter's old enough for play dough! Right now I don't trust her not to eat it if she gets bored. This is a great recipe! I made enough for gifts for my 27 first grade students one year. 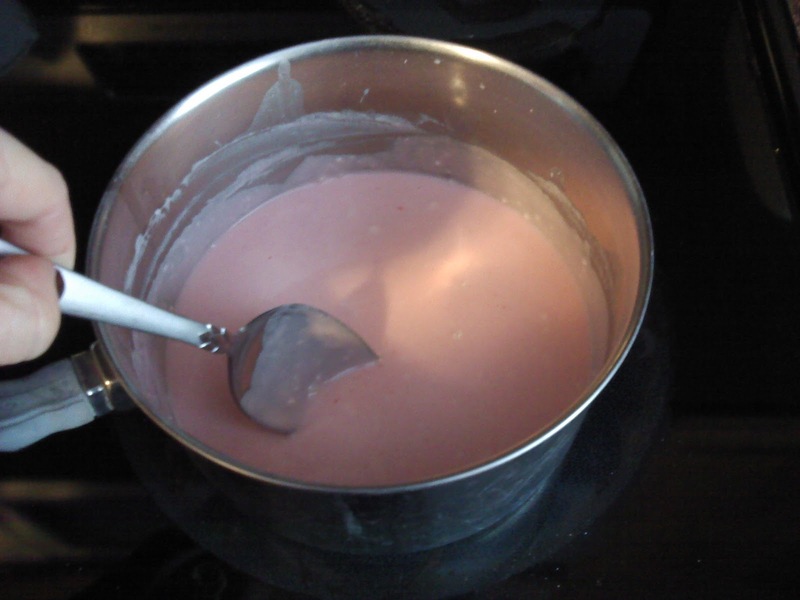 I made it in a couple really big batches and found it almost impossible to stir. Luckily my husband was around to help! I have heard of using koolaid packets for coloring and scent, but I haven't tried it that way yet. I have not made play dough in many years. I should make some for my grand children. Stopping by from the Wild weekend hop. Hope you stop by for a visit. My twin nieces would love this! I have this on my crafts list for the next babysitting! I am a new GFC follower! I came from the Wild Weekend Blog & Facebook Hop. I would never think to make play dough. Good job, and it looks good enough to eat. Hopefully it doesn't taste good. What an adorable little one. I would make play dough for her too. Smile. I used to make homemade play dough for my kids when they were little too. Nothing beats it! Im here from your Pink Link on Beverlys blog....and I'm your newest follower! Stop by sometime if you like. So awesome! My kids would have a blast with that. 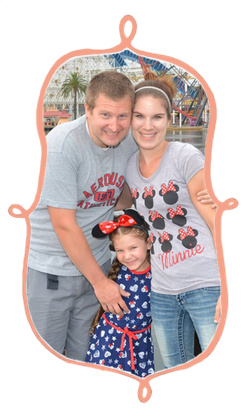 :) Thanks for stopping by blog and leaving a sweet comment about the "floating snowman." Happy to have you as a follower! Consider me your new follower as well! How cool is that! Neat idea! My Granddaughter is spending the night soon, what a great project for us to work on together! First off, your daughter is adorable and that shot of the play-doh with her in the background is ca-ute. Second, great idea, thanks for sharing, I'm totally going to post this sometime in December for winter ideas for Moms. Stopping by way of Chef's linky party. Wow! What a great tutorial! This post is so informative and I think my subscribers would really enjoy reading this. I would love for you to come share it at Frugal Days, Sustainable Ways on Frugally Sustainable this Wednesday. And, I really hope that you will put Frugal Days, Sustainable Ways on your list of carnivals to visit and link to each Wednesday! You did SUCH a great job of explaining this! Thank you. This is my first visit and I found all sorts of things to inspire me--Thank you!! I'm trying to start up a linky party--would you come by and link up a tutorial? I love making homemade play dough! Thanks for sharing at our Shine on Friday party. I hope you'll join us again tomorrow. 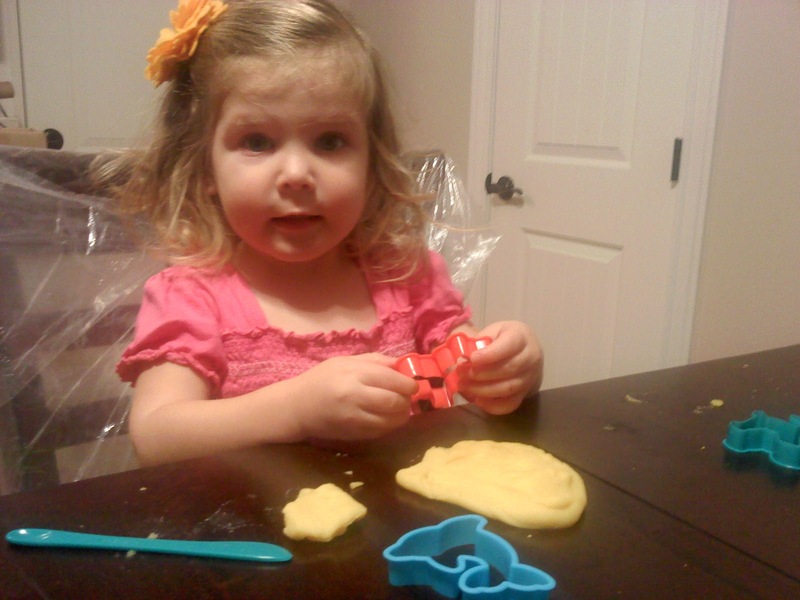 We LOVE playdoh at our house too! Could you please link up on my blog too? We love to make playdough and now that my kids are a bit bigger.. they just adore getting in the kitchen to help create it! They chose the colors and they just love going crazy with the food coloring! Looks like your lovey had a great time! 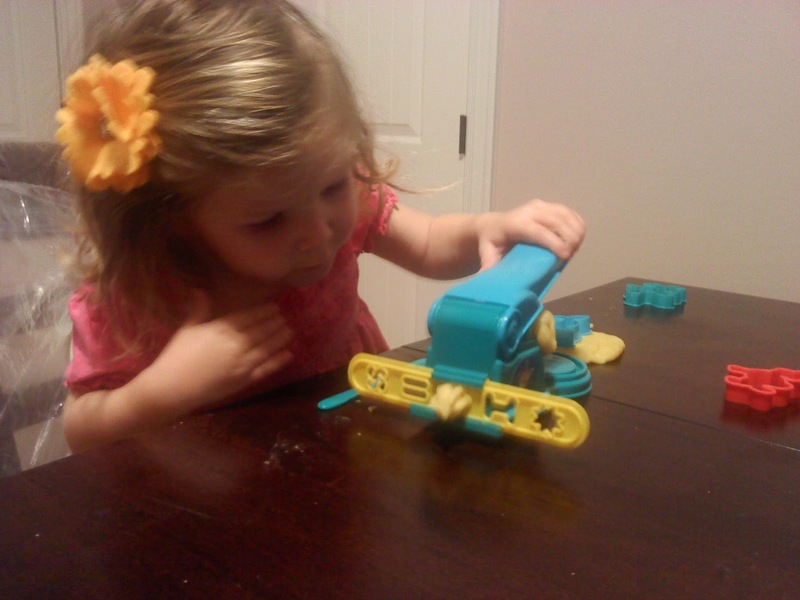 We're in need of some new play dough around here! Can't wait to try it! Thanks for linking up with us and hope you join us again this Wednesday! Happy Thanksgiving! so much better than the store bought stuff.